Western Americans treasure the scenic splendor and abundant natural riches of this beautiful place that we call home. When it comes to our public lands, the vast majority of us desire abundant recreation, safe, vibrant communities, and healthy air, water, and wildlife. Unfortunately, federal mismanagement of millions of acres of federally controlled lands has been increasingly marked by catastrophic wildfires, smoke filled summers, polluted water, decimated wildlife, blocked access, and economic decline. Slow or poor decision making by East Coast politicians and out-of-state administrators has repeatedly caused unnecessary hardships and disasters, costing hundreds of millions of dollars and way too many lives. As more and more people realize that we can and must do better, more and more are realizing that it is time to bring land management decisions closer to home — where they belong. Yes, it is time to have an honest conversation about transferring federal lands to willing states. For example, few realize that when it comes to public land management, western states out-perform federal land managers by an average of 10:1 or better. In fact, the federal government consistently loses money on its version of land management while states that govern their own lands consistently generate positive cash flows. Millions of acres of State-owned lands throughout the West currently offer a variety of activities including farming, ranching, logging, mining, parks, wilderness, hunting, fishing, historic preservation, and recreation. These activities on state lands consistently generate funds for management of the land and for local schools, roads, and public safety. There is a group of die-hard environmentalists who disdain the idea that states can responsibly govern their own lands and resources. The notion that we can’t afford it, or that states would sell off all our majestic mountains and hang “no trespassing” signs on all our favorite fishing holes are their favorite preposterous talking points. They also like to say the state will run ranchers off the land. Keep in mind, the federal government and the transfer opponents are the ones doing that. The American Lands Council is a nationwide network of elected officials and others who are working to ensure greater accessibility, healthier conditions, and sustainable economic solutions for our public lands. Our proposed Transfer of Public Lands Act (a federal bill) addresses all the concerns we’ve heard and provides a clear path forward from success. 1. STATES CAN GO AT THEIR OWN PACE: Through optional, incremental land transfers, States can acquire specific pieces of federally controlled public land whenever they are ready to manage new areas responsibly. 2. MINERAL, GRAZING & WATER RIGHTS ARE PROTECTED: States must honor all existing valid rights and uses, as well as contracts that were in place prior to the transfer. Safeguards against fee increases are built in to provide certainty. 3. LOCAL VOICES ARE STRENGTHENED: States must coordinate with affected counties to ensure that management plans for the newly acquired public lands are consistent with local plans and priorities. 4. PROMISES TO KEEP IT PUBLIC MUST BE UPHELD: States must administer each piece of public land as described in the legislature’s application for conveyance. If the application says it will be public land, the State must keep it public. 5. RESOURCE REVENUES PAY FOR MANAGEMENT: Income derived from resource royalties will pay for ongoing maintenance, management, and wildfire control — making state ownership of the public lands economically sustainable. 6. STATE & LOCAL BUDGETS GET A BOOST: After land management costs are covered, excess revenues from natural resource production may be divided between state and local governments to support schools, roads, and public safety. We invite you to learn more and join us at www.AmericanLandsCouncil.org. By working, speaking, and acting together, we can achieve what nearly all Western Americans want — abundant recreation, safe, vibrant communities, and healthy air, water, and wildlife. 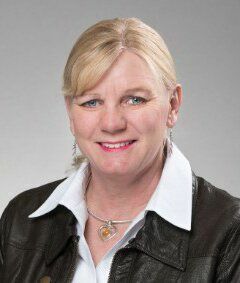 Jennifer Fielder is a Montana State Senator and avid outdoorswoman. She has been CEO of American Lands Council since December 2015.